Kenya Police becomes first African customer to operate Eurocopter’s AS350B3e helicopter. The Kenya Police Air-Wing is expanding its airborne law enforcement and crime prevention unit with the delivery of a Eurocopter AS350 B3e Ecureuil helicopter. 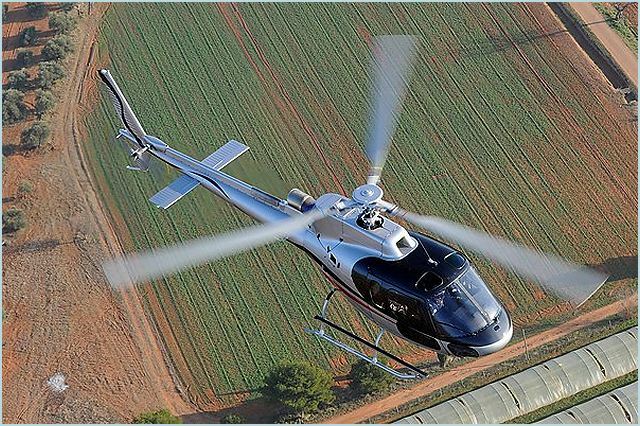 Kenya’s selection of the AS350 B3e, which is the enhanced version of Eurocopter’s successful AS350 model, follows an open and competitive tender won earlier this year by Eurocopter Southern Africa (Pty) Ltd, the Group subsidiary in charge of Southern Africa markets. The new helicopter, which was handed over to the Kenya Police, in Nairobi will be dedicated to police law enforcement and crime prevention missions including anti-poaching, anti-terrorism operations. It will also be deployed in search & rescue, casualty evacuation, personnel transport and various other civic protection roles. The Kenya Police Air-Wing is the first African customer for the AS350 B3e, which boasts several enhancements over previous AS350 variants, including an uprated Turbomeca Arriel 2D turbine engine allowing better take-off performances while decreasing maintenance costs. Range and payload was a primary consideration in selecting the AS350 B3e as the Air-Wing required a helicopter capable of patrolling both the dense built up area around the major cities, Nairobi and Mombasa, but also to cover smaller towns and communities spread over large areas. Kenya has a land area of 580,000 km2 and a population of nearly 39 million residents. It has a diverse geography including a long Indian Ocean coastline. Inland, the terrain varies from savannah grasslands to forests, mountains and even dessert regions. The Police Airwing’s choice of Eurocopter AS350 B3e aircraft was based on their superior operational capability and its proven rugged reliability which will enable it to operate in the Kenya’s variable conditions which range from equatorial humidity at the coast to hot and dusty in the arid regions. Over the past decade, the AS350 B3, with its outstanding capabilities, has become the reference helicopter for airborne police units in the Sub-Sahara Africa where law enforcement agencies in Angola, Namibia, Botswana and South Africa have also selected them. The powerful, high-performance AS350 B3e is designed to carry out the most demanding missions in the most extreme weather and geographical conditions. Its exceptional lifting capability, high endurance, extended range and fast cruise speed make the AS350 B3e the leader in its class. The popularity of Eurocopter’s AS350 in a law enforcement role can be attributed to its ability to meet all of a police flying unit forces’ main requirements. The AS350 B3e is a member of Eurocopter's rugged and proven Ecureuil family. Some 5,000 Ecureuil have been delivered in 98 countries for some 1,600 operators. These aircraft have cumulated more than 21 million hours.